Reassurance shield after the 52 split. Reassurance shield about a mile later. 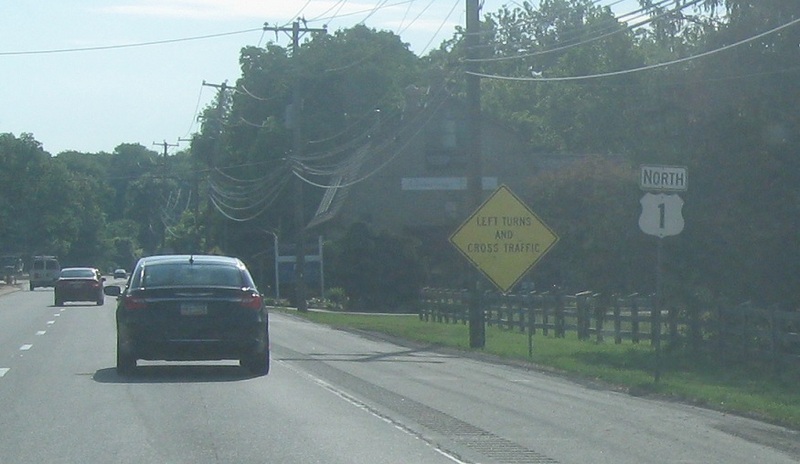 Reassurance shield a couple miles later as we enter Delaware County. 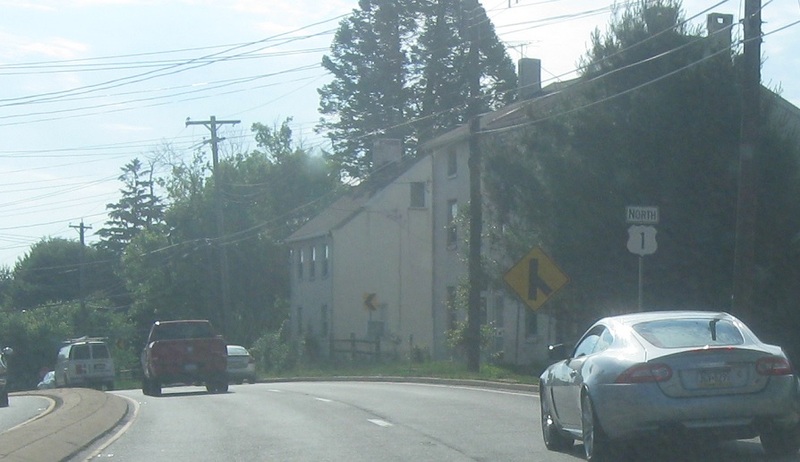 A couple miles later we’ll approach US 202 and 322. 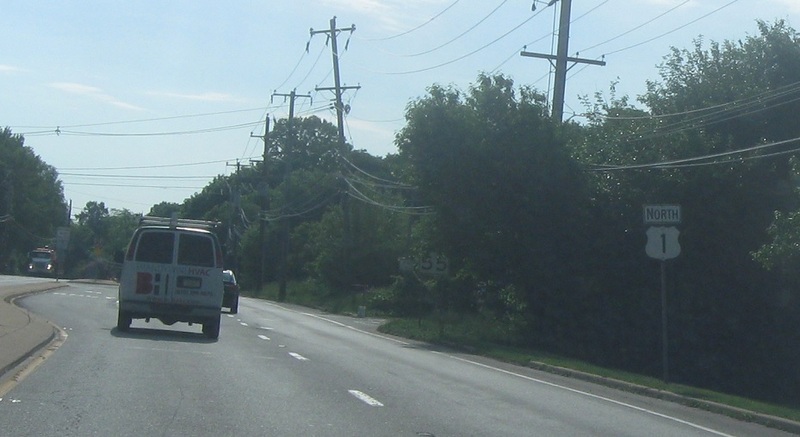 Follow 202 north and 322 west for the 926 alternate truck route. 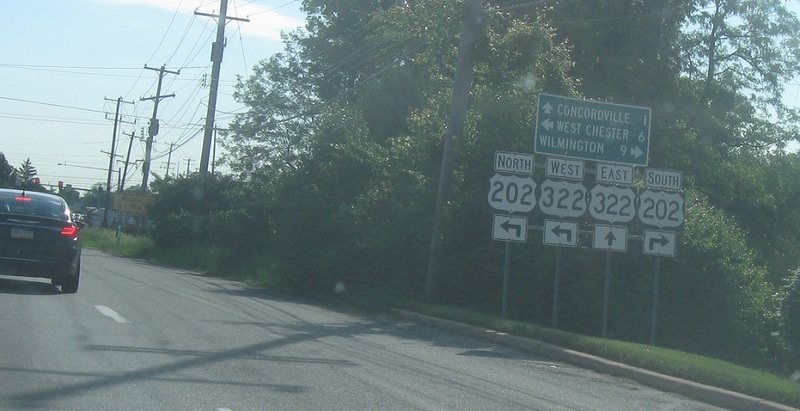 Follow 202 south down to Wilmington, Del. 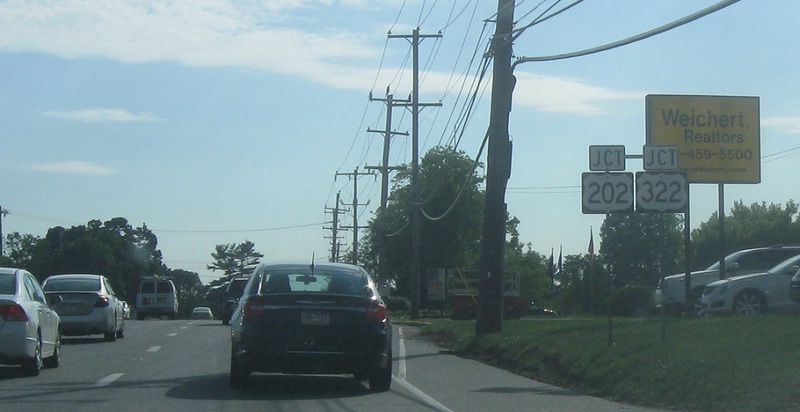 202 north and 322 west run concurrent with each other up to West Chester. 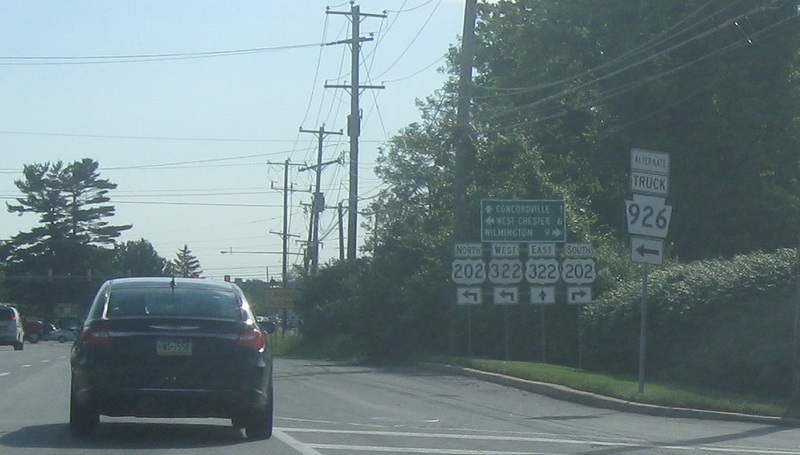 1 north and 322 east run concurrent to Concordville. 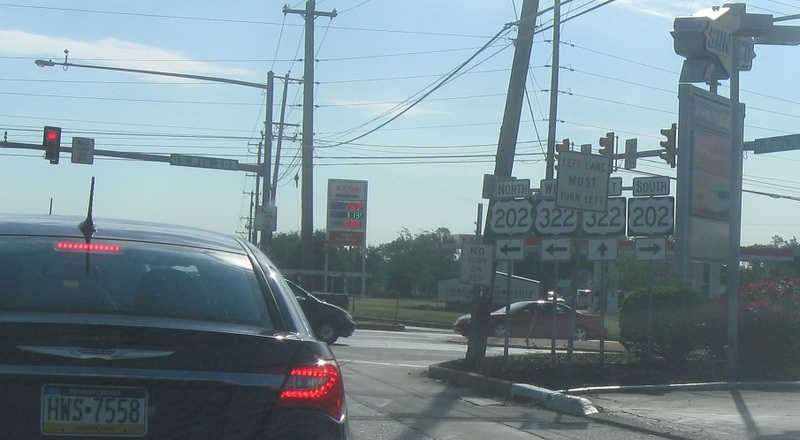 Turn right for 202 south, left for 202 north and 322 west and stay straight for 1 north and 322 east.